Chinese bike importers Lexmoto have taken their first steps into A2 motorcycle manufacturing with a new 380cc twin-cylinder sportsbike. Previewed on the firm’s social media channels and at the 2019 Motorcycle Trade Expo in Warwickshire, the LXR 380cc takes the firm’s best-selling LXR 125 and adds a larger-capacity parallel-twin Zongshen engine, which Lexmoto claim already produces 30hp (around 29.6bhp). Desite a further remap altering the final figure, the LXR is the first machine Lexmoto have ever produced above 125cc and marks a turning point in the development of the Devonshire-based business. What's more, they are aiming for a price tag of just £3800. 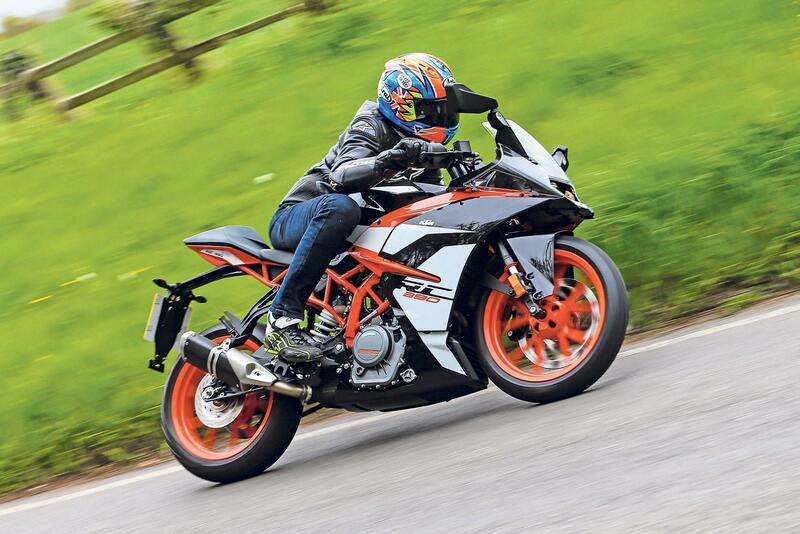 Although details remain scarce, a glance at the photographs reveals dual ABS-equipped front radial calipers biting onto wavy discs, upside down forks and credible sportsbike styling. Behind the black and white fairings, there is a tweaked version of the LXR 125's frame, finished in striking orange. At the rear there is an aluminium swingarm, too. Although draped in sportsbike-inspired plastics, gently placed clip-ons also indicate that this bike will be as much about practicality and usability as it is carving up a B-road at the weekends. What’s more, illumining the road in front of you is also what appears to be a set of LED headlights, too. Speaking in a statement online, the firm said: "Testing new models can take quite a long time and some of the conditions aren't ideal. But the views and experience of developing these models to their full potential is incredible and something that will shape the user experience for years to come." The A2-friendly sportsbike market is already saturated with options from many of the major Japanese and European manufacturers and the Lexmoto are keenly aware of this, basing their machine on Kawasaki’s 44.3bhp Ninja 400. 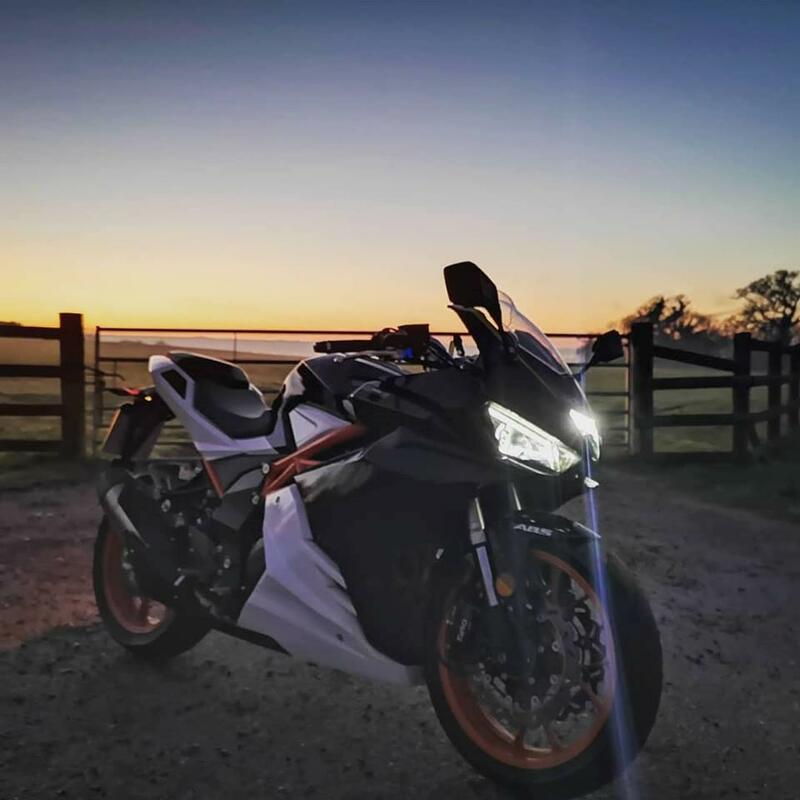 Also worth consideration is KTM’s single-cylinder 373.2cc RC390 and the recently updated Yamaha YZF-R3, with all bikes offering quality components like WP suspension and LCD instrument panels, alongside impressive performance and economy. However, all of this comes at a price, with the R3 costing £5299, Honda’s CBR500R priced at £6099 and the KTM setting you back £5249. If the Lexmoto is able to retain the firm’s current commitment to value, with a decent level of performance, it could carve a niche as a viable, affordable alternative to its rivals.